Guarantee:12 months from the date of purchase. 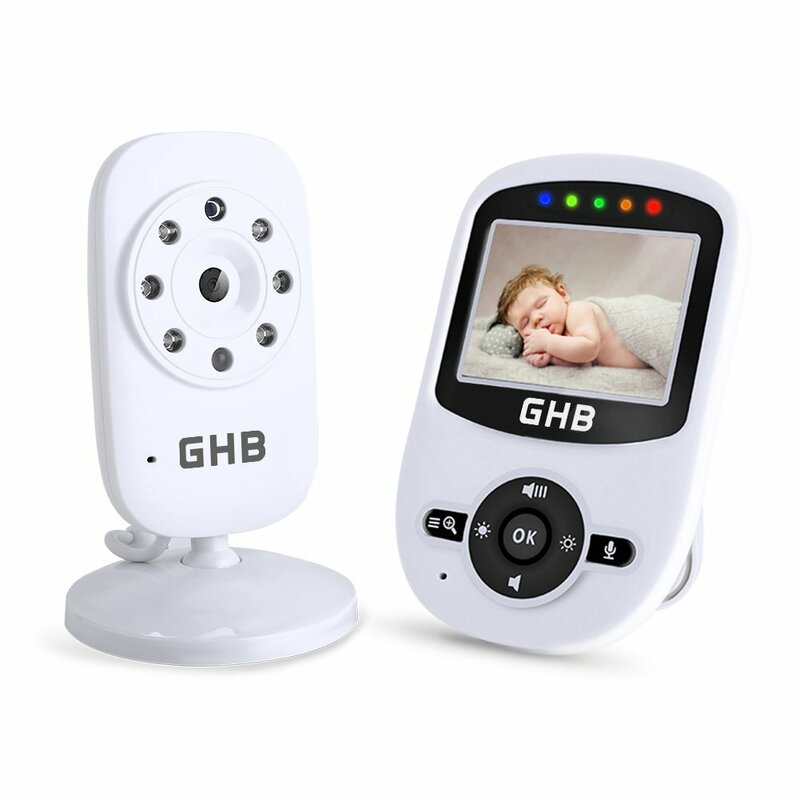 This GHB Video Baby Monitor is fantastic value for money. Priced towards the lower end of the baby monitors spectrum, it certainly provides all the features you need to feel reassured that you can check in on your resting baby at any time – day or night. The 2.4″ video monitor screen allows you to see in enough detail that your baby is safe, and will also pick up the smallest of movements in the cot– even at night. It has a powerful zoom function for extra reassurance. The night vision is excellent on this product – very clear, and kicks in automatically when lighting is low. A power saving mode that turns the screen back on only when baby makes a noise is a plus point, meaning the battery life is excellent! With the option for lullabies to help sooth your little one and a temperature display feature to alert you of any significant changes, this monitor has everything you would hope for – including a two-way talk feature for whenever you need to comfort your baby. 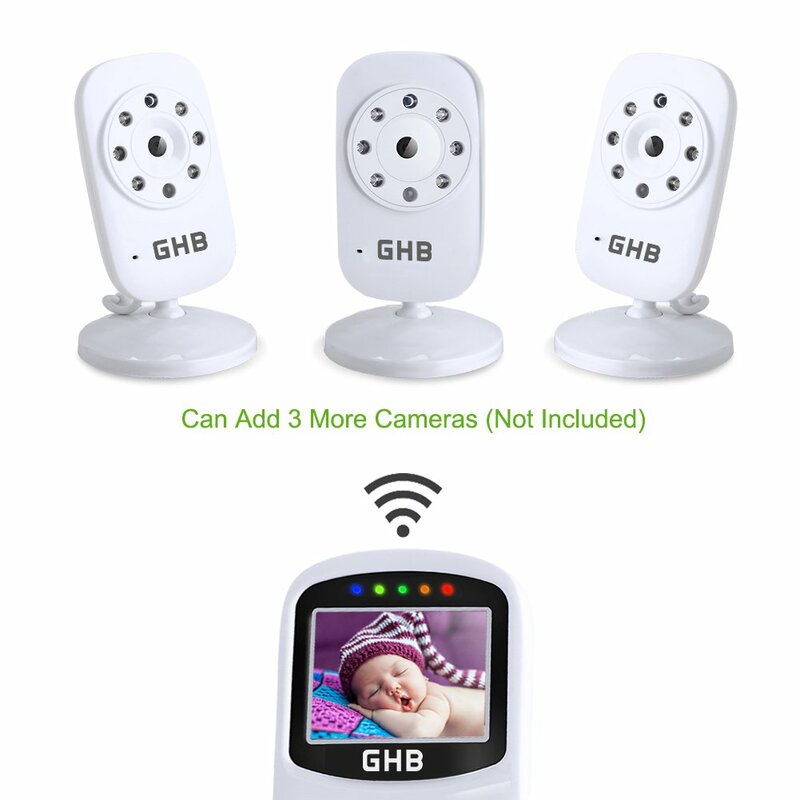 You can buy extra Cameras for this 2.4″ Video Baby monitor which can come in very handy for multiple rooms! Many features the same as monitors double the price! Sometimes a low buzz can be heard in the background, if you have your ear right to the monitor – but its never too loud to become annoying, and certainly does not interfere with those precious baby sighs you want to hear! 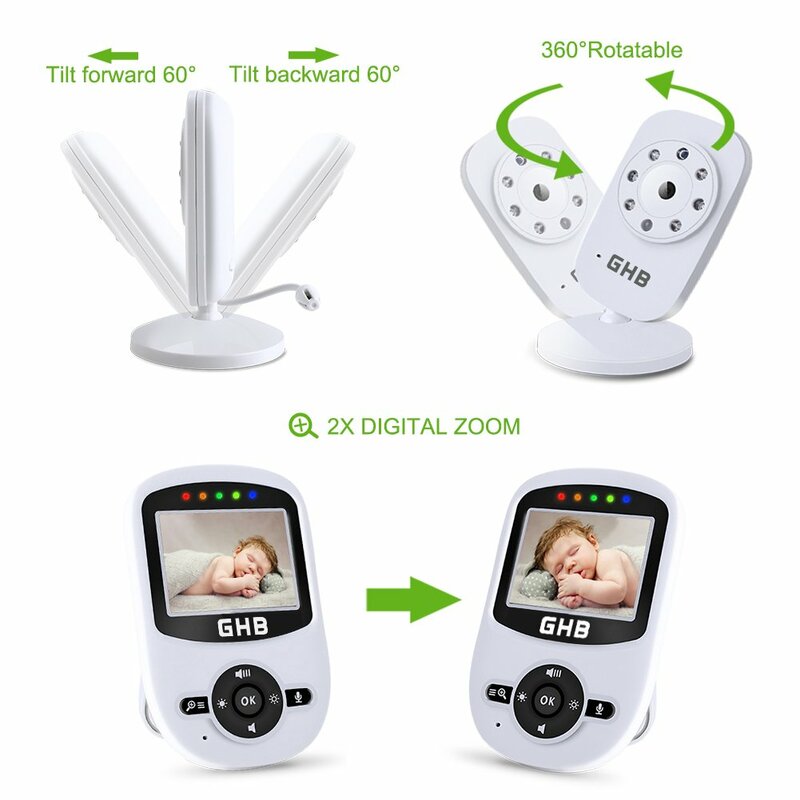 A brilliant little baby monitor that does exactly what it says on the tin! All the important features of the more expensive monitors for at least half the price. Great quality picture from the camera day and night……never miss a thing! 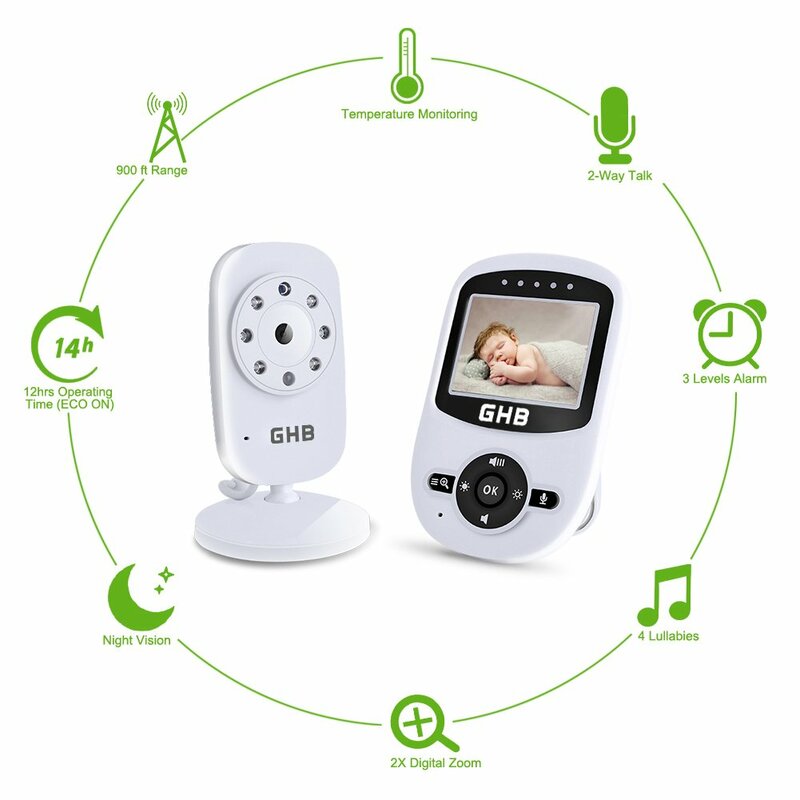 If you think this is the baby monitor for you, please click the link below and enjoy!